12″ Tour Edition of 50. Numbered. Out Of Print. 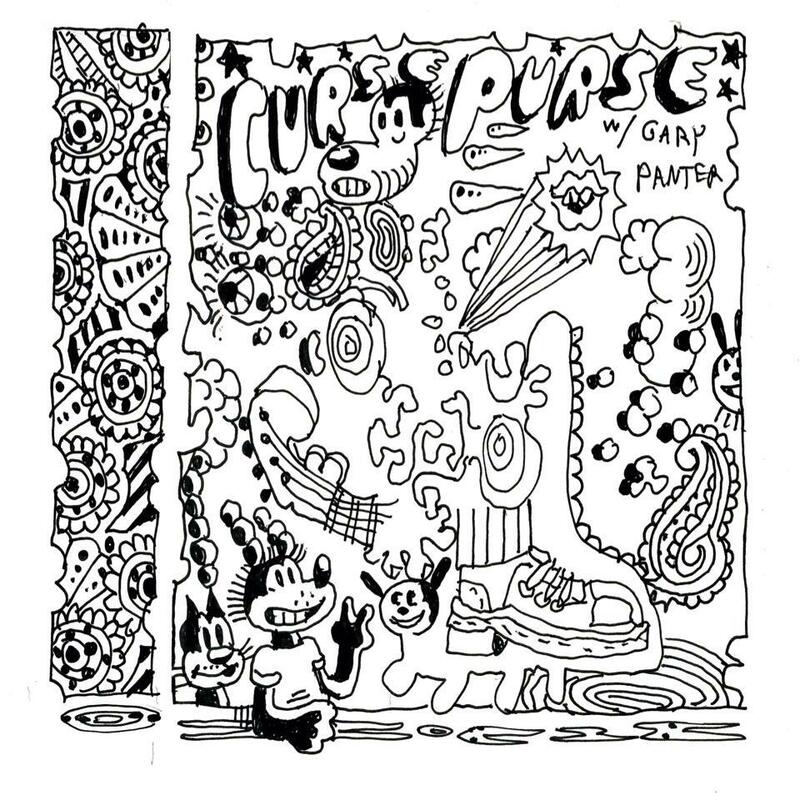 Because their debut 12” was such a marvel, Curse Purse decided revisit the format, and this time they hauled along guitarist Gary Panter for a ride in the clown car. For those who have never experienced them, Curse Purse (the basic) is a trio with Olivia Kennett on suqeedles and voice, Matt Robidoux on guitar and voice, and “Ted” Lee on drum, guitar and voice. To them, form is nothing but an obstacle to be overcome and parodied. And though he has proven himself to be a thoughtful and cunning string agent in most settings, it appears these three scalawags have subverted the approach of Mr. Panter as well. The sound they create is a lot like sitting inside a big drain pipe while kids ride their Stingray bikes around on top of it, hitting the thing with chains. AVAILABLE ONLY AT THE FEEDING TUBE RECORDS SHOP / CURSE PURSE SHOWS!